If you’re a serious photographer who likes to manipulate your images on a computer before printing or sharing them online, then it’s essential to be sure that your monitor is displaying colours accurately. There’s little point in getting your photos looking perfect on your own screen if they’re going to appear completely different to everyone else. This means calibrating your monitor to reproduce colours in as standardised a fashion as possible, using a colorimeter such as the Datacolor SpyderX. 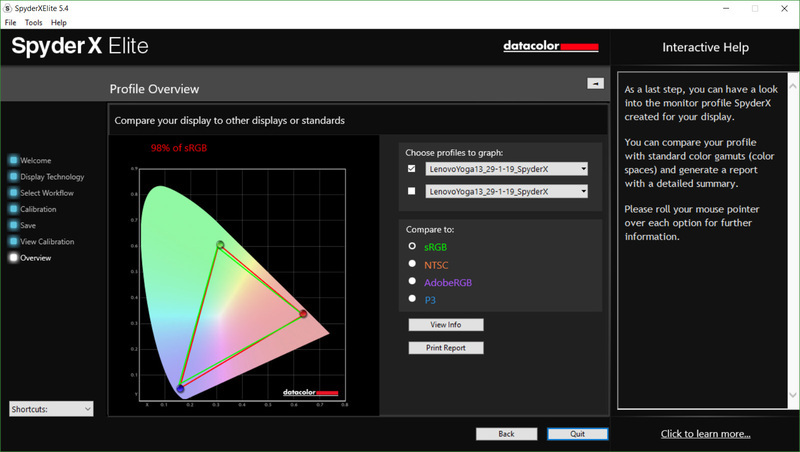 Datacolor is one of the two big names in colour management, alongside X-Rite. It produces a full range of tools under its Spyder brand, offering everything from monitor and projector calibration to printer profiling. 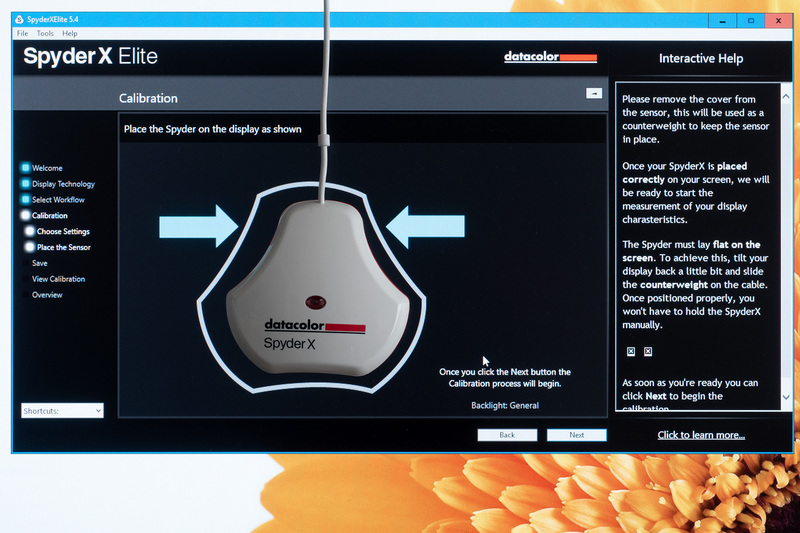 The SpyderX is an updated version of the firm’s monitor calibration system, using completely new hardware compared to the Spyder 5 that it replaces, but essentially the same software. SpyderX comes in two versions, which differ in the complexity and capability of the software provided. The Pro option is aimed at serious photographers who want to ensure that their monitors are calibrated accurately, while Elite is aimed at professional users who may also need to calibrate a projector, or ensure multiple displays used side-by-side are perfectly colour-matched. Unless you know for sure you need these additional features, I’d recommend saving your money and going for the Pro. There’s no comparable option to the cheaper Express version of the Spyder 5, at least at launch; Datacolor suggests that enthusiast photographers will get better long-term value from the Pro. Datacolor SpyderX – What’s new? 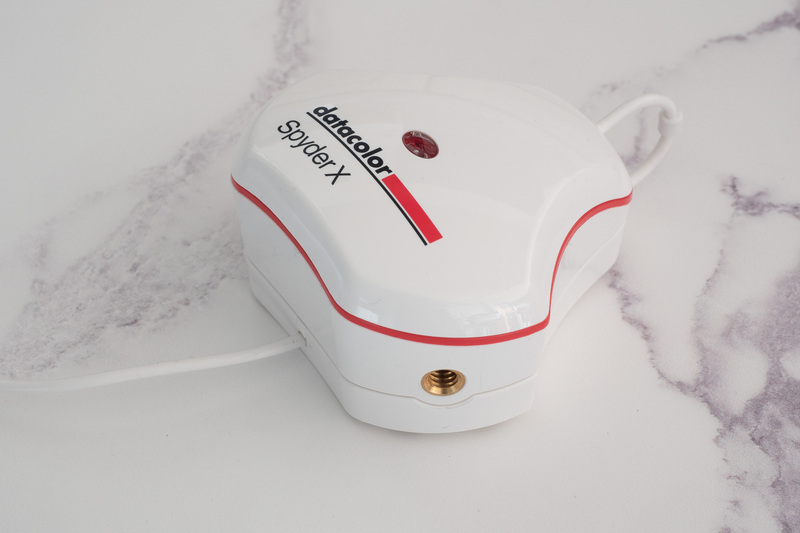 Datacolor says that the SpyderX colorimeter has been completely redesigned for increased speed and accuracy. 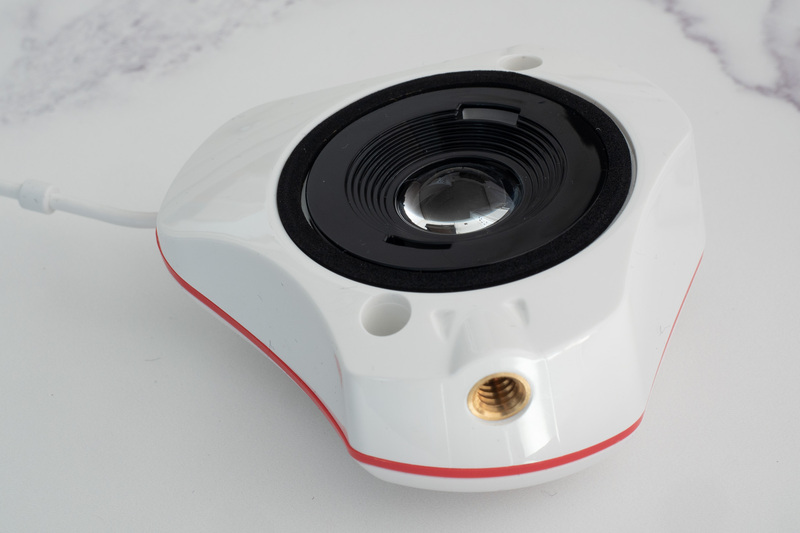 The immediately visible cosmetic change is that the device is housed in a white plastic shell, rather than black. But when you remove the protective cap from its back, you’ll find that it now uses a lens to direct light onto its sensor, in contrast to the Spyder 5’s honeycomb grid. The colour-measurement sensor itself is also new. The firm claims that these updates bring two key advantages. Firstly, colour accuracy should be improved, especially in the lightest and darkest areas of the image. Secondly, the calibration speed is vastly accelerated, with the process taking around two minutes to complete. For anyone who’s guiltily foregone a scheduled re-profiling because they’re in the middle of a piece of work and don’t want to be interrupted, this might be a welcome improvement. Datacolor SpyderX – How about printing? Neither the Pro nor the Elite version of SpyderX can create printer profiles for working with different papers; instead you’ll have to spend a lot more money to gain this capability. Datacolor’s current solution is the £340 Spyder 5 Studio kit, which also includes the SpyderPrint colorimeter for taking reflective measurements from print targets. Datacolor tells me that this kit will be eventually updated with the SpyderX hardware. When you first open the SpyderX’s neat square box, you’ll find that you’re there’s no software installation disc or even an instruction manual. Instead, you’re directed online to download the SpyderX software and access online support. To be fair, that’s far from unusual these days, and means that you can be sure of getting the latest version of the program. The software needs to be activated using a code included in the box, and you can run it on multiple machines. 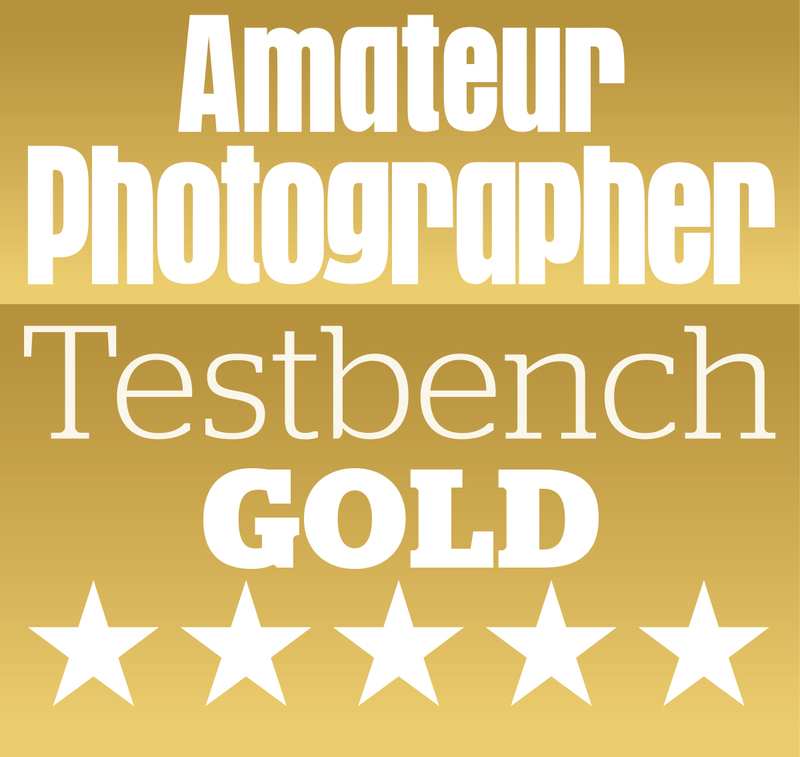 So you easily can calibrate both a desktop and a laptop computer, which many photographers will find essential. Once the software is up and running, it’s a case of plugging in the colorimeter and calibrating your display. This is where you’ll appreciate the quality of Datacolor’s software. It guides you step-by-step through the process, showing helpful context-sensitive help on the right-hand side of the window when you hover your mouse over any of the various options. It’s a model of clarity, and goes about as far as realistically possible to ensuring that you don’t overlook any detail. Once you get familiar with the process, you can switch to an Expert Console interface which shows all the settings on a single screen, if you prefer. After some initial setting-up, the software prompts you to hang the colorimeter in the middle of your screen. The aim is to make sure that it sits flush against its surface; the lens cap slides along the cable to act as a counterweight on the back. 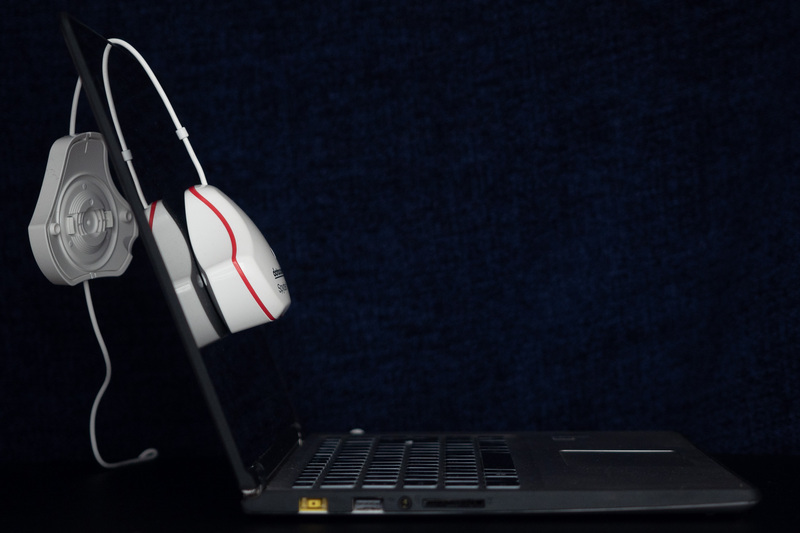 The system first takes a brief set of initial readings, then instructs you to adjust your monitor’s brightness to match the ambient light. It then measures a wide range of colours to build a profile, with this part of the process taking almost exactly two minutes. You can visually check how your new profile compares to your uncalibrated screen, and view a graph showing how it relates to commonly used colour spaces including sRGB and AdobeRGB. When you next run the software it gives some additional options. It’s possible to check the current calibration to make sure it’s still accurate, which takes less than half a minute. 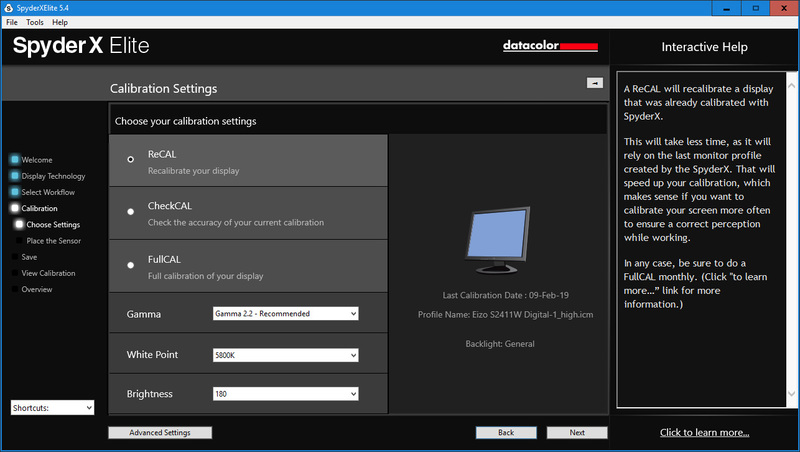 There’s also a re-calibration option that fine-tunes your current profile, saving time compared to a full calibration. One neat feature is the option to make three profiles for different lighting conditions, which the software can then switch between automatically. 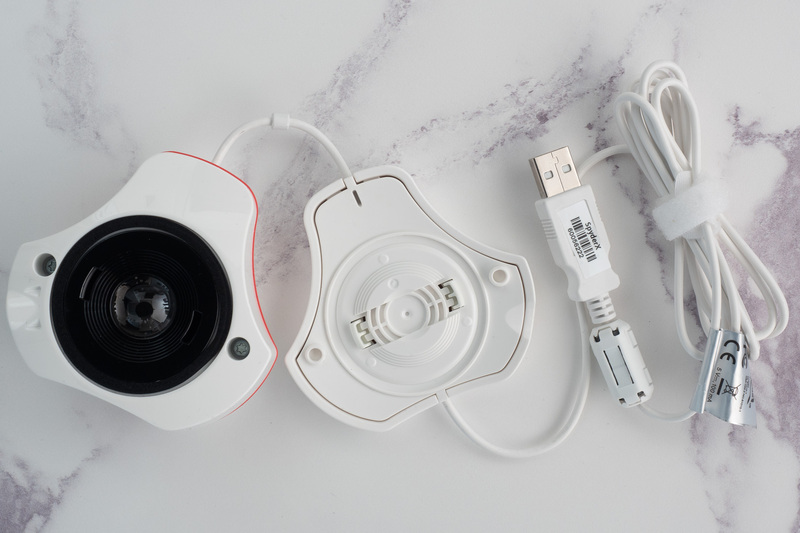 For this to work, though, you’ll need to leave the SpyderX colorimeter plugged into a USB port, and appropriately positioned to monitor the ambient light. 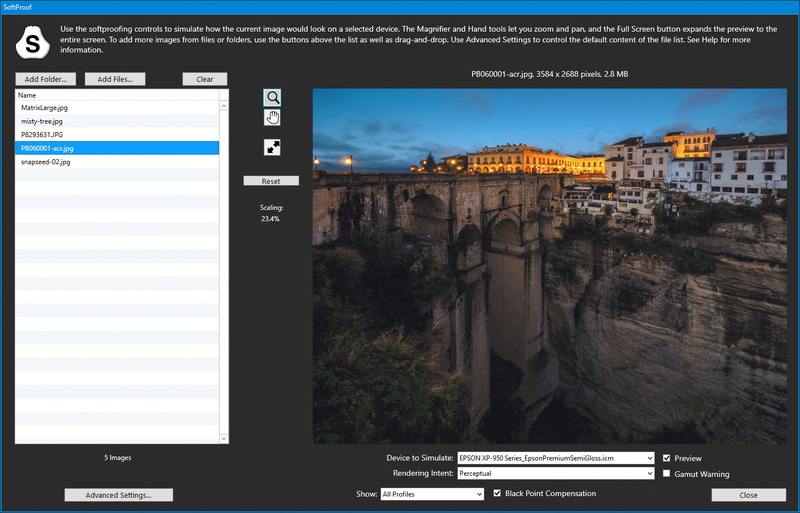 The SpyderX Elite software includes a handy soft-proofing module that allows you to visualise how your images should look when printed or displayed on a tablet, based on profiles stored on your computer. It can also highlight out-of-gamut areas that can’t be rendered correctly. The Soft Proofing screen helps you visualise how your images should look when printed. I used SpyderX Elite to calibrate my desktop and laptop monitors, and was pleased with the results it gave. The software is easy to use, thanks to its guided step-by-step interface, and the entire process takes less than three minutes, once you get used to it. It’s difficult to say that the profiles it produced were clearly better than those from my usual X-Rite system, but they were certainly just as good. While the additional features of SpyderX Elite will be invaluable to some high-end users, I suspect most photographers would do better to save some money and buy the Pro version instead. 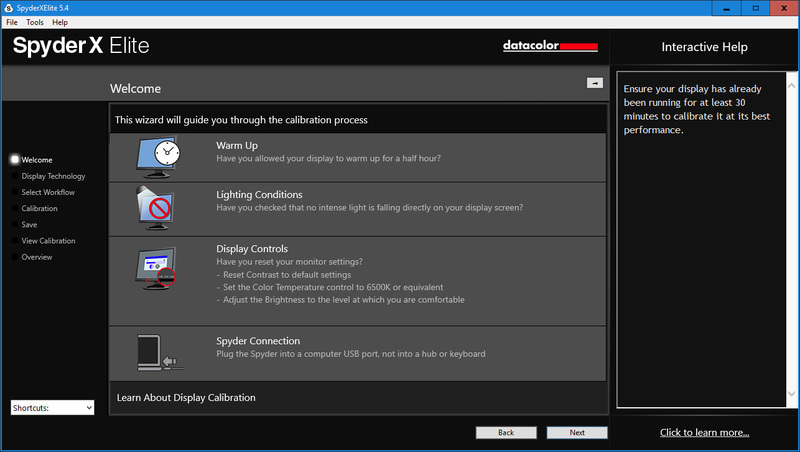 If you need a quick, easy-to-use tool to make sure your monitors are performing as best they can, it’s a great choice.